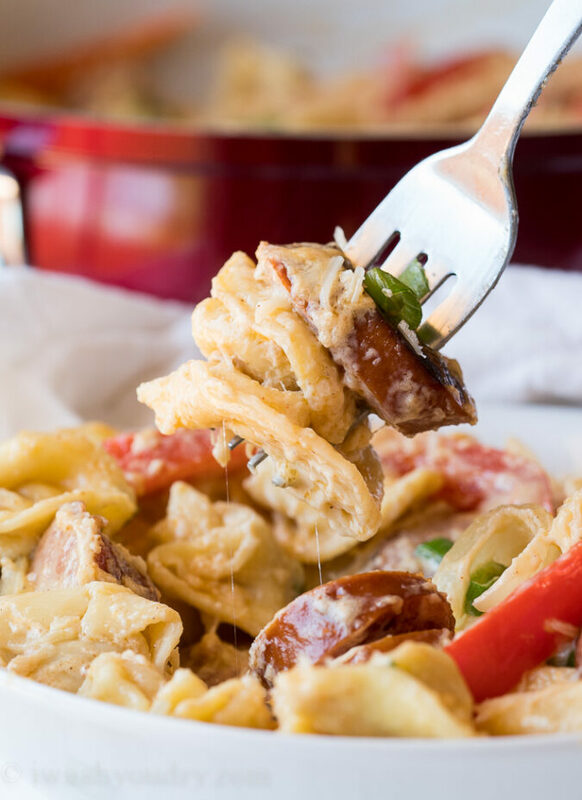 This Creamy Sausage Tortellini Skillet is a super quick weeknight dinner recipe that comes together in less than 15 minutes and with just a handful of ingredients! You know I couldn’t go too long without bringing you another one of my fabulous 15 minute dinners! I’m absolutely giddy over this recipe because it’s so insanely easy and out of this world good. Have you ever wandered the aisles of the grocery store on an empty stomach? It’s usually a recipe for disaster, as I’ll end up buying one of EVERY THING in the store. 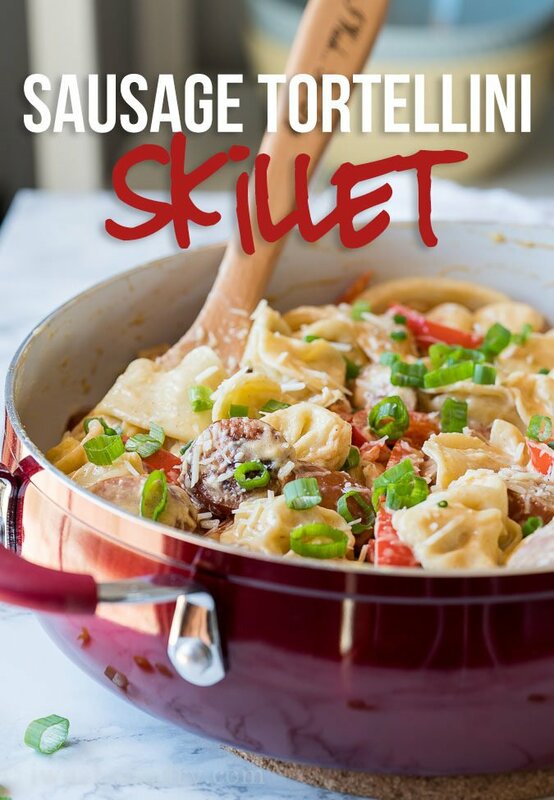 But in this case, it was a beautiful outcome because I ended up with this Creamy Sausage Tortellini Skillet. 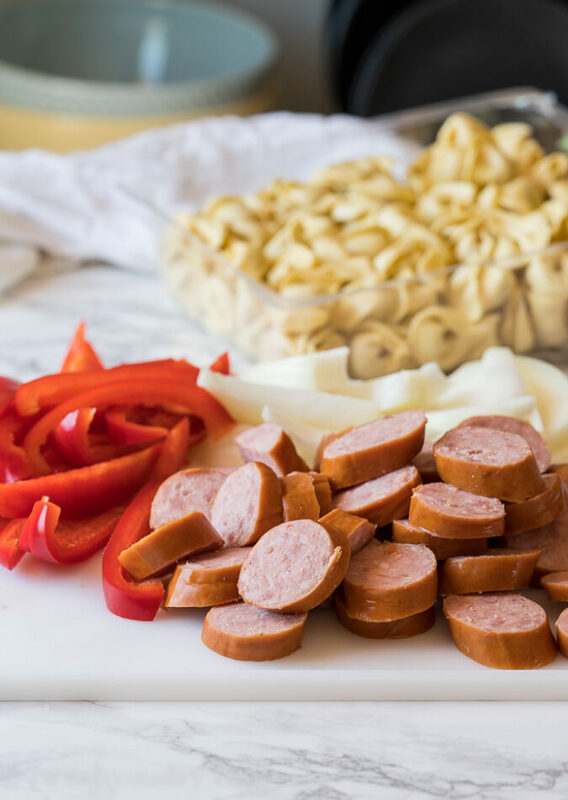 I grabbed a package of the refrigerated tortellini (it’s located next to the meat and sausages), which I love because they’re just a few minutes away from being ready to enjoy. 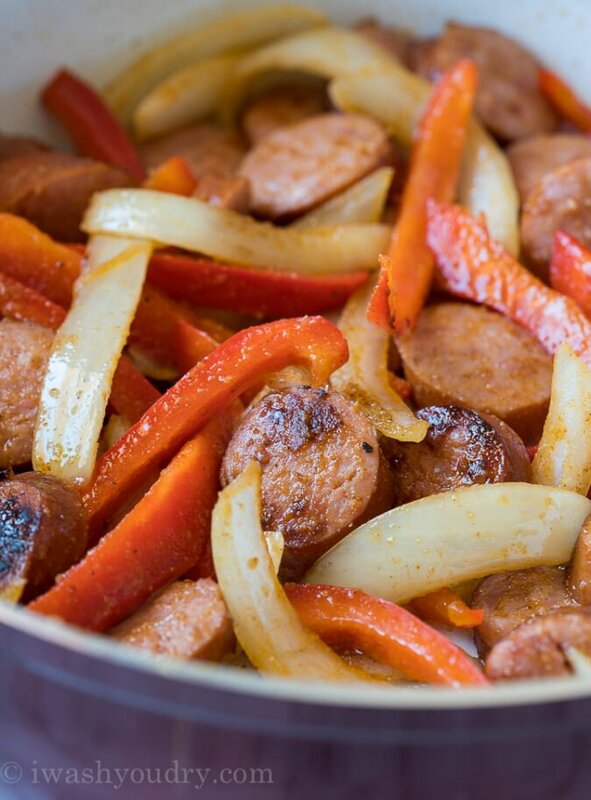 You’ll start by sautéing the red bell pepper strips, onion and sausage in a hot skillet. Meanwhile boil the refrigerated tortellini for just a few minutes until tender, then drain. 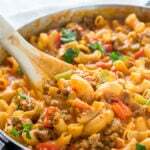 Pour in some heavy cream and parmesan cheese along with the cooked tortellini. The sauce on this super creamy dinner is simple, simple, simple! Just heavy cream and parmesan cheese. It’s seasoned with a touch of garlic powder and cajun seasoning. 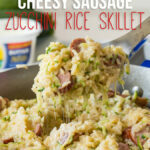 You have just a hint of spice, but it’s perfection with the sausage and sweet peppers. If you’re watching your carbs, there is an easy option for this recipe! Simply swap out the tortellini for 1 head of steamed cauliflower that’s been cut into bite-size pieces. 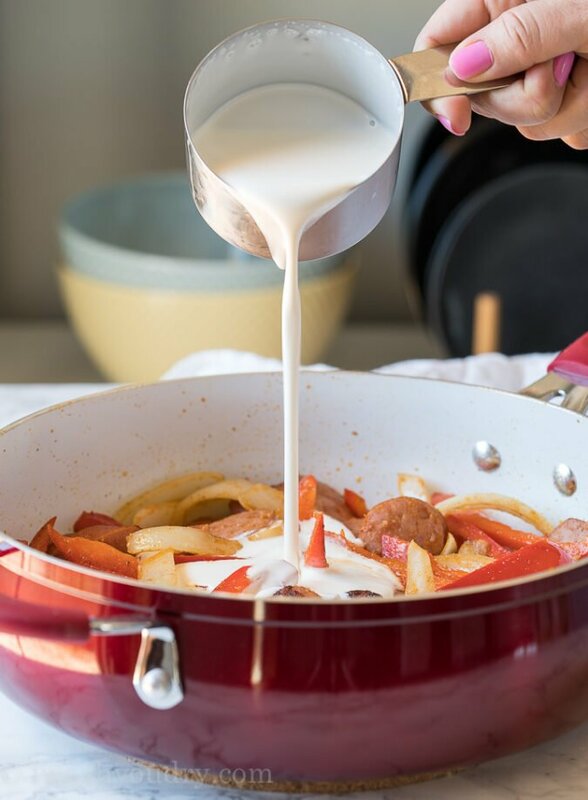 To reduce the fat, simply replace the heavy cream with half and half. 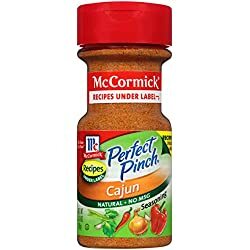 If you do not want any spice in the dish, you can omit the cajun seasoning (but it’s really not that spicy with it in there). 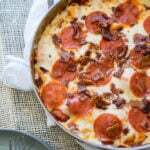 I’m sure you’re going to LOVE this super simple, yet mega-flavorful weeknight dinner recipe! 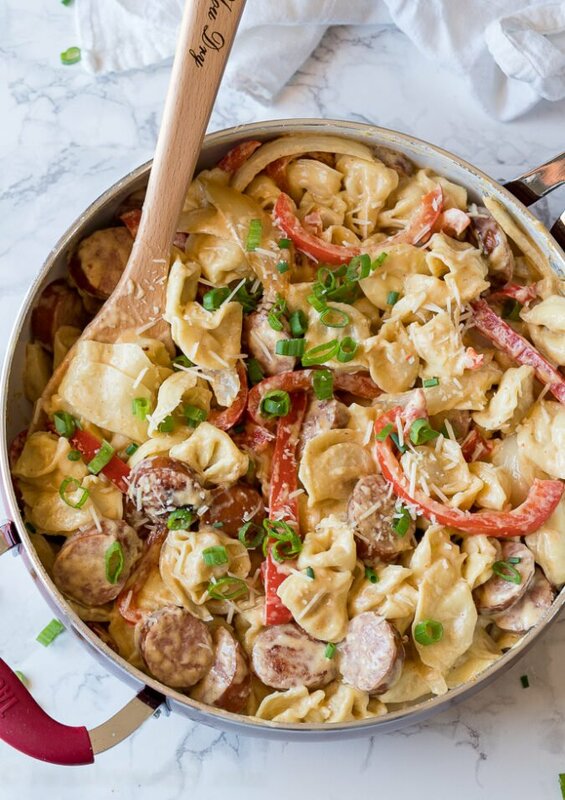 This Creamy Sausage Tortellini Skillet is a super quick weeknight dinner recipe that is ready in less than 15 minutes and enjoyed by everyone! Boil the tortellini according to package instructions, drain and set aside. 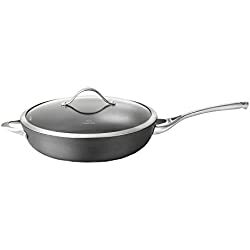 Meanwhile heat 1 tbsp olive oil in a large skillet over medium high heat. Sauté the bell pepper, onion and sausage in the skillet until the peppers and onions are tender and the sausage is browned slightly (about 5 minutes). Sprinkle with the garlic powder and cajun seasoning and cook until fragrant. Pour in the heavy cream and parmesan cheese and stir until the sauce is thick and creamy (about 2 minutes). 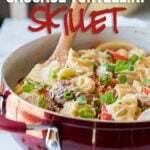 Add the drained tortellini to the skillet and stir to coat. Garnish with extra parmesan cheese and green onions. Serve hot and enjoy! If you’d like to make this LOW CARB, simply sub out the tortellini for steamed cauliflower. Keep up the good work. Don’t let the nay sayers get to you. You are going a great job. Wish i had time to make them all. This was awesome! My family loved. I made last week and am making again tonight. Please unsubscribe me from this post! 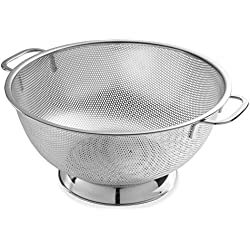 You’re not subscribed to this post. You can try using steamed cauliflower in it’s place or use a different pasta of your choice if the sodium content is concerning for you.